Satiate the thirst and hunger in the summer heat with promo offer from petrol station Dieselor, Sofia - for a walk in the park, for a picnic in the mountain, in the car on your way to work or home or while watching a strenuous sports game! 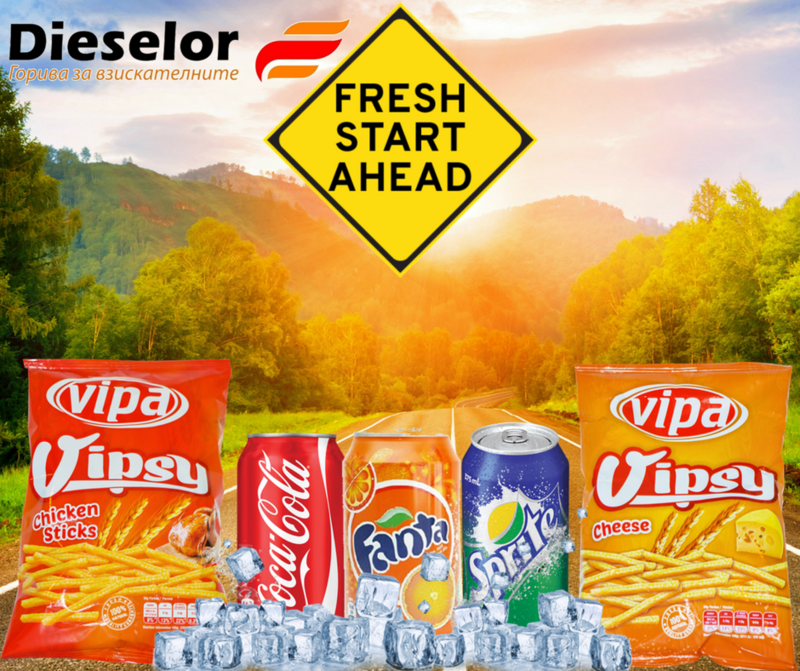 Get Coca-Cola/ Fanta /Sprite 0.33 l + Cheese /chicken sticks at a special price only 1.49 lv! Duration of the promotion: from 01.06.2018 until 30.09.2018 or until stocks last.